Avtar Steel witnessed its inception with a goal to become one of the most trusted names in the Stainless Steel Industry. Today, after 30 years of exclusive focus on stainless steel, we have refined our expertise in manufacturing this versatile & vibrant alloy with a strong foundation and fulfilling the aspirations of millions! 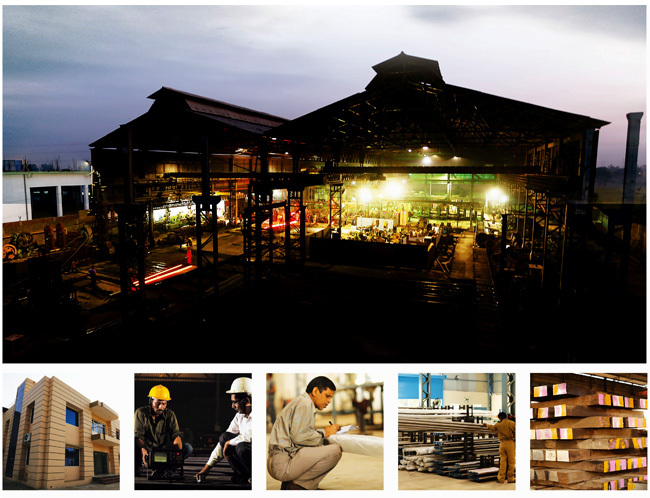 Avtar Steel Limited came into being in 1980 and was incorporated as a limited company in 1996. Since then we have been enriched with a long list of reputed clients who rely on us exclusively for all their needs of speciality Stainless Steel Products. Our forging materials along with stainless steel products are preferred by quality buyers across India. Our corporate headquarter is located in New Delhi while our ultra-modern manufacturing facilities equipped with state of the art equipments are situated in Sonepat, Haryana. We have a team of top notch metallurgists handling routine production, quality controls and spearheading developments. Perfection and excellence are the natural outcomes of dedication, commitment and integrity, which is imparted in all levels of our organisation & is reflected in our progress and achievements. We have expanded our production facilities with ultra-modern steel melting shop, ingot casting, hot rolling mills, heat treatment facilities, cold finishing facilities and full fledged metallurgical test lab for quality tests. These facilities are managed and controlled by expert metallurgists. This expansion coupled with the continuing support of our Indian clientele and our core manpower strength gives us the impetus to enter the global arena. 15th Floor, Aggarwal Corporate Heights, Netaji Subash Place, New Delhi-110034, INDIA.